In the final segment of the Best of Nikonians 2018, we are going to celebrate the evolution of technology from the industrial revolution through today.We are looking for photographs depicting ever-changing technologies over the last 200 years. This is a Special Edition Contest, an extension of our big annual contest. Up to five images from this challenge will be advanced to the finals of the Best of Nikonians 2018. The Wonders of Old and New Technology contest will open for entries until November 15, 2018. This contest is open only to Silver, Gold and Platinum members. If you are currently a basic member there is still time to upgrade your membership and join the competition. The Nikonians Team will choose the winner and 4 honorable mentions. 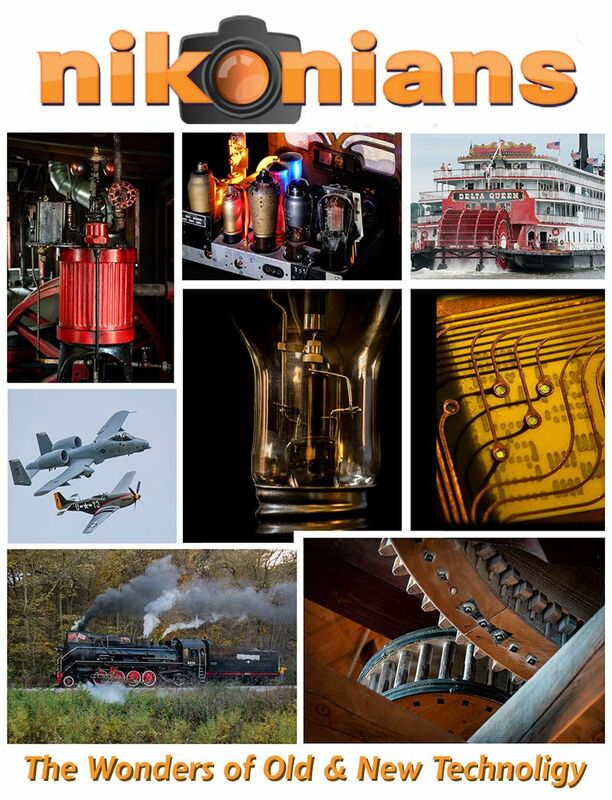 All 5 images will be advanced to the finals of the Best of Nikonians 2018 contest. The winner will be announced before the end of November and will be recognized in the Nikonians Blog and will receive a printable Certificate of Photographic Achievement. We look forward to seeing how you fulfill this challenge!